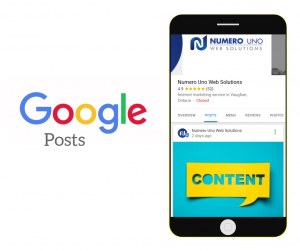 Google Posts is a relatively new feature added to Google My Business that allows business owners and online marketers to create and manage dynamic posts that are directly related to their companies on SERPs. You can create events, promotional content, marketing materials, and even social media-esque posts that will appear on the main SERP whenever your prospective customers search for your business or products and services that are related to it. These miniature cards are displayed in the knowledge graph on the right-hand side of the SERP and offer informative, yet succinct tidbits of information to users. Having easy access to this information from the get-go makes it easier for end users to gain a clear and better understanding of what your business has to offer. 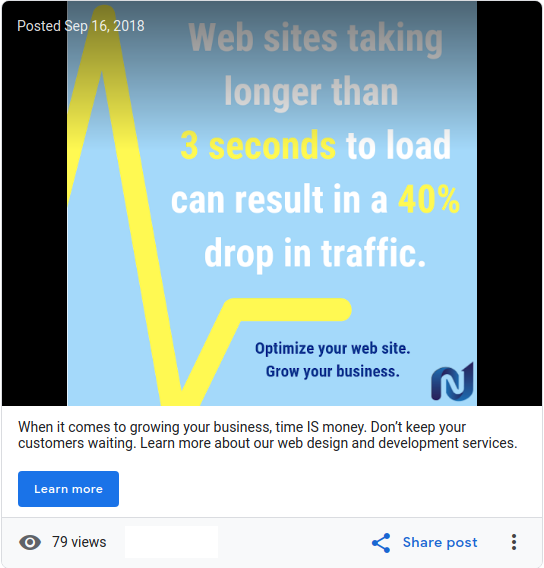 With that said, here are a few useful tips on how you can effectively implement the Google Posts feature in your online marketing campaign. As the saying goes, “a picture speaks a thousand words” and when it comes to marketing, properly formatted images can make or break your advertising efforts. Always make sure you use high-quality and appealing images that speak directly to your target audience and capture their attention. Images need to be formatted to the correct size, otherwise they’ll be awkwardly cropped when displayed on the SERP. SEO experts advise that the best size to use for images is 750 pixels by 750 pixels. Smaller image sizes will automatically be rejected. The first step to running a successful online marketing campaign is to conduct thorough market research and collect as much information about your target demographic as possible. This includes their interests, likes, dislikes, and so much more. Next, you need to start creating high-quality content that speaks directly to those factors and keeps your target customer base fully engaged at all times. Open the doors for engaging discourse by encouraging your followers to share the opinions, concerns, and questions regarding the content you’ve shared. Create a content release schedule and stick to it. Your followers need to know when and how they can expect to receive updates from your company. However, that doesn’t mean you should constantly bombard their inboxes with annoying notifications, either. Positing on average once or twice a week on the same date and around the same time is an effective way to keep your followers engaged in your content so that they actually look forward to seeing what you have to say or offer. There are even programs that allow you to write your content pieces well ahead of time and then schedule them so that they’ll automatically be posted on a specific date and time each week. The call-to-action (also known as the CTA) is an important aspect of any content post. It instructs the user how to contact you and provides information about your business. Make sure it’s clear, easy to understand, and directly to the point. Include a hyperlink that redirects to the contact page on your web site. The CTA can appear either directly beneath your main headline or at the very end of the content piece. You can even write a short CTA blurb for social media posts. Numero Uno Web Solutions is one of the leading SEO and online marketing companies in North America. We’ve helped countless companies build up and sustain strong key brand messaging to reach their target audiences. To learn more about how we can help you grow your business and expand your online marketing strategies, please feel free to contact us today!